Mr. Broderick was born in Columbus, Indiana. He spent most of his childhood there. He graduated from West Genesee High School in Syracuse, New York in 1981. He entered the United States Air Force in 1982 where he served for 9 years during the Gulf War. While serving he attended Troy State University, during his off duty time, and graduated with a bachelor’s degree (B.A.S.) in Resources Management and a master’s degree (M.S.) in Management. After serving overseas he was assigned to Charleston Air Force Base. He then attended the Citadel where he earned a master’s degree (M.Ed.) in School Counseling and later a master’s degree (M.Ed.) in Educational Administration. He has been employed in public education for over 14 years and is currently the Assistant Director of the Dorchester County Career and Technology Center. He has held positions in sales, banking, social work, and alcohol and drug counseling. He is an active member of the Bethel United Methodist Church and serves on many committees and events within the Walterboro community. He is a board member for the South Carolina AdvancED Advisory Council, which is the accreditation body for public and private schools. 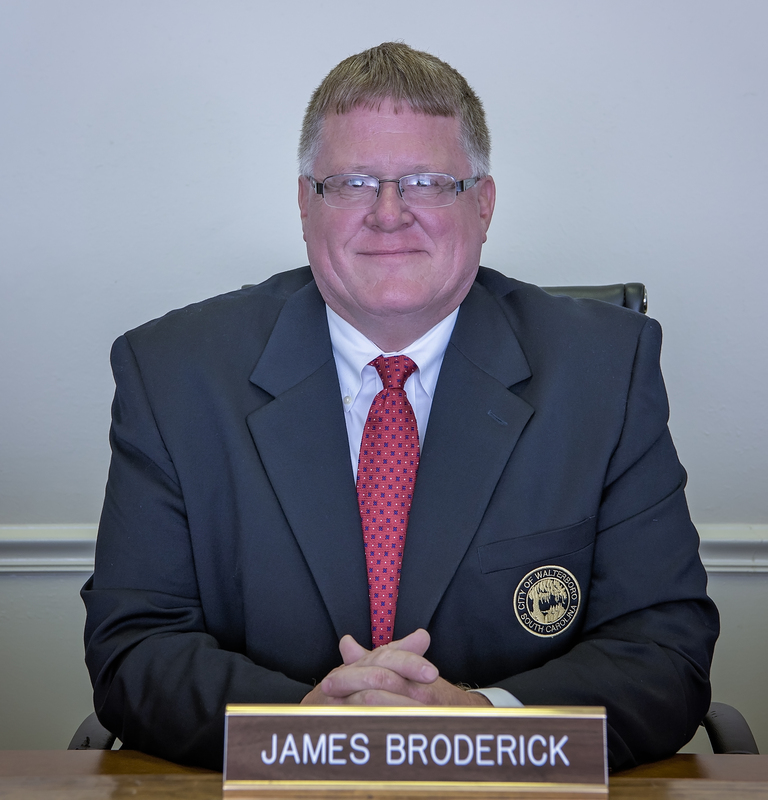 Mr. Broderick is married to Becky Smoak Broderick, who is employed as a 7th grade English teacher at Colleton County Middle School, and they reside in Woodland Terrace, in Walterboro with their three sons Jack, Hudson and James. Reason for serving on council: To use my many years of experience, in different fields, to serve the citizens of Walterboro and make our city the best it can be.